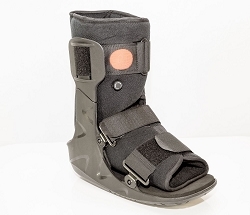 DeRoyal's Pacesetter Air Walker, both high top and low top versions, have an inflatable air bladder design for compression and stabilization. 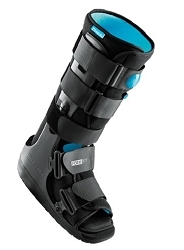 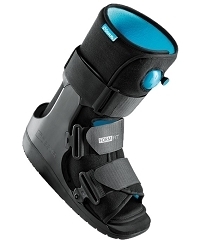 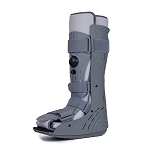 This medical cam boot provides a unique non-welded air bladder and reduces chance of over-inflation to the point of bursting or tearing. 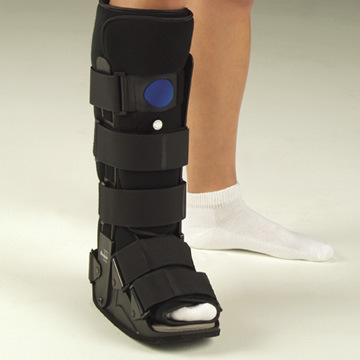 A wide foot plate for patient comfort and stability and a rocker sole helps promote natural gait. 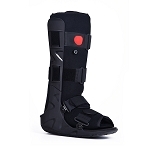 This cam walker walking cast also provides heel strap which helps prevent foot migration.